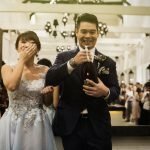 SingaporeBrides recently ran an article on 45 Important Questions to Ask Before Choosing A Wedding Photographer. In all honesty, if anybody were to come up to me with this list, I’ll probably beat that person up. I have much better things to do. 1. How long have you been in the industry and how many weddings have you shot to date? More than a decade. I’m an old stallion who’s still running strong. Unscripted, Unstaged & Unobtrusive. If you had to ask, then you need to visit my website. 3. Do you have a portfolio I can review? Where is the best place for me to view a full portfolio of your work? Again, my website and also on my Facebook and Instagram. 4. Are all of the images yours, and is the work recent? Of course, I guarantee they are not plagarised from some other photographer. 5. Are you open to a photographer’s shot list? 6. How far in advance do I need to book with you? Well, if I’m not booked, you can even call and book my services on the spot. 7. Is my wedding date available? When’s your wedding day again? 8. How many weddings are you booked for on my wedding date? Well, I can only be at one place at one time. 9. Will you be the one shooting my wedding? If not, can I meet the photographer who will be on-site? Yes. Sometimes, you’ll get to say hi to some of my associates. 10. Will there be a second photographer on the day? If yes, can I meet the second photographer? It all depends on you. Do you need a Second Photographer? 11. Why do you need a second photographer? What will he/she be in charge of photographing? Quick answer – more coverage, more photos, more perspective. 12. Is there an additional cost if I want a second photographer? 13. Do you have a backup plan/photographer in the event that you are unable to shoot my wedding for some reason? 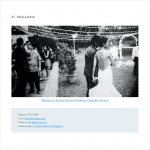 No, but I’ve not been unable to shoot a wedding I’m supposed to in the last 10 years. Don’t let yours be the first. 14. What photography packages are available, and what is included in these packages? I can’t say it here. Too many prying eyes. 15. What add-ons do the more expensive packages include? It’s a question of what you are willing to spend. I can make a photo album made of pure gold if the money is right. 16. Can I customise a package to fit my needs? Of course, no two weddings are ever the same. 17. How many hours are included in each package? How much do extra hours cost? I don’t sell packages. Everything is customised. Again, I can’t name a price here. Contact me for a quick chat. 18. What is your refund or cancellation policy? 19. How much deposit do you require to book your services? 100% is preferable but otherwise we’ll accept half. 20. When will the final payment be due? When I say hi to you on your wedding day. 21. What payment methods do you offer? Do you accept payments in installations? You mean installments. Hmm… that’s something for me to think about. Otherwise, cash, cheque and credit card. No bitcoins please. We’re still figuring that one out. 22. 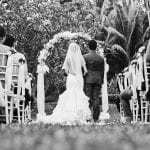 Do you often shoot weddings that have a similar size and style to the one we are planning? I’m a wedding veteran. I’ve shot weddings in all race, shapes and sizes. 23. Have you ever shot a wedding at our wedding venue/s? If not, do you plan to check out the venues in advance? Why not? New places are always fun to explore. 24. Do you offer other photography services, such as photobooths or live-roaming photography? No. We’re just very good wedding photojournalists. 25. Is there a videography team you enjoy working with that you can recommend me? Yes, we have friends who are the excellent videographers. 26. What time will you arrive at the site and for how long will you shoot? That depends on what time your wedding starts and how much $ you invested with me. 27. What happens if you are delayed getting to my wedding? Again, I’m never late and make sure I never am. But if for some unfortunate incident where say Godzilla attacks me en route to your wedding, I guess that can’t be helped. 28. What information do you need from me before the wedding day? Every juicy bits that you’re willing to share. I’m a friendly fella who loves to chat. 29. What kind of equipment will you be using? Will you bring our own lighting and necessary equipment? Well, the kind of stuff that any wedding photographer in a right frame of mind would bring to a wedding. 30. Do you have backup equipment? Oh yes. A whole bag of it. 31. Do you shoot in colour, black and white, or both? In film too actually. Did I mention lomo? Oh yes, phone cameras too but mostly for my Instagram. 32. Will the photos be retouched and colour balanced before they are given to me? 33. If an image is delivered in black and white, will I also have access to a colour version of the image? Well, if it’s taken in black & white film, there’s nothing I can do. 34. On average, how many edited images can we expect to receive from you? That will again depend on how much $ you invested with me. 35. How will I receive the images? Do you offer an album? If yes, what type of album do you offer? Google Drive and my Film USB Drive. I have plenty of handmade photo albums. 36. How long does it take for us to receive the images after the wedding? That’s really a question of how busy I am but I don’t purposely withhold your photos, unless you forget to pay me. 37. Will we have rights to the images, to repost on social media etc? Yes. But please do tag me. I’m a glutton for publicity. 38. Are you available to travel? If so, what are the additional costs? What do I need to provide? I love travelling! If you’re feeling generous, business class please. Otherwise, I’ll accept economy. Hey, that’s just 38 questions. Well, the other 7 is for wedding couples to self-reflect.